The DustFX CWI-H4-PVC Polyurethane hose is a 4” x 50’ roll for bulk needs of dust collection around the woodworking shop. The 4” diameter flexible hose is a standard size for most basic woodworking machinery and will allow good flexibility in machinery placement and movement in your shop. The 4” hose is also available in precut 10’ and 20’ lengths. 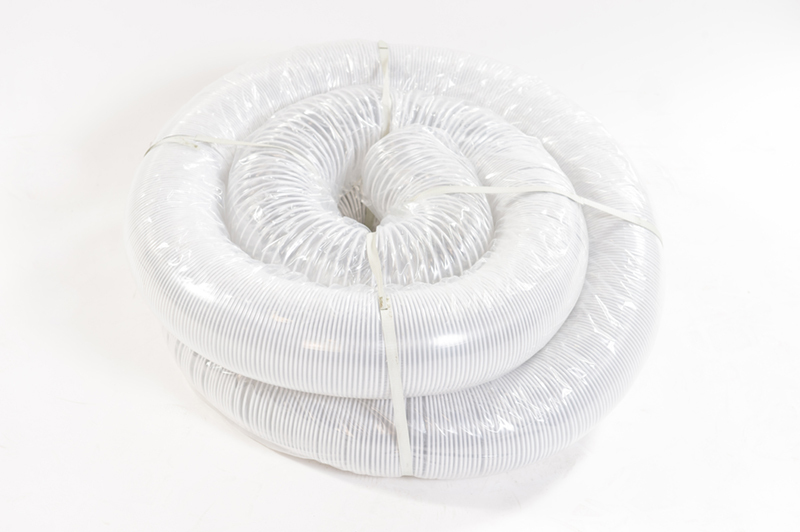 DustFX PVC dust collection hose is exceptional quality and value designed for use on portable dust collectors to attach to most woodworking machines in the shop. 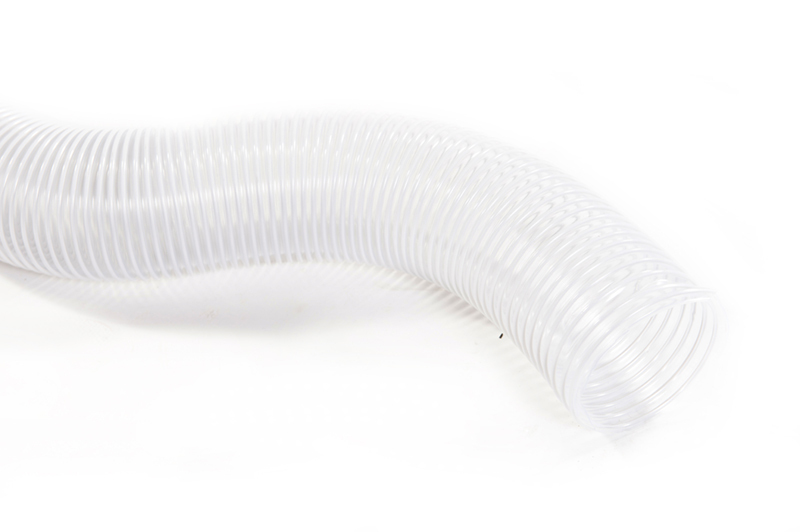 This hose is reasonably flexible, clear so to easily see and remedy any clogs, and has a smooth inner wall for optimized flow of air and dust. It functions in -10 to +70 degrees Celsius and is capable of electrostatic discharge because of the steel wire reinforcing which runs the length of the hose.